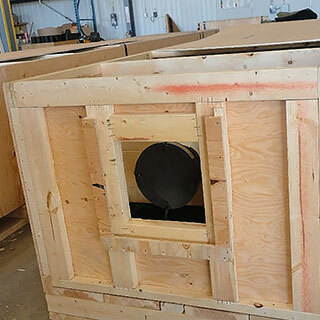 Crating/Packaging Services - ProWest Shipping & Packaging Ltd. 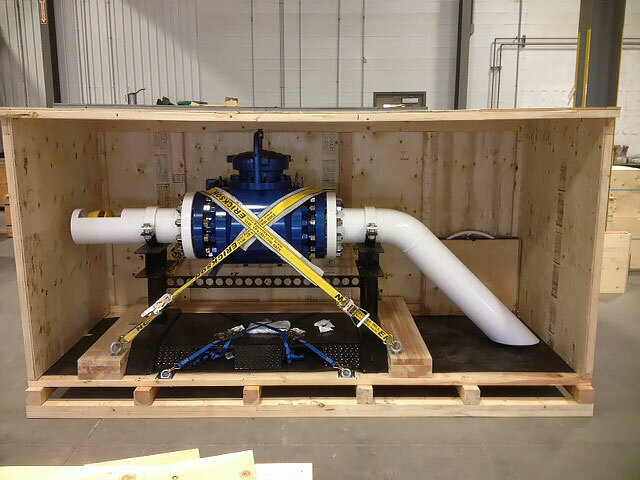 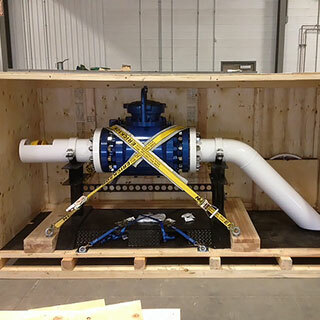 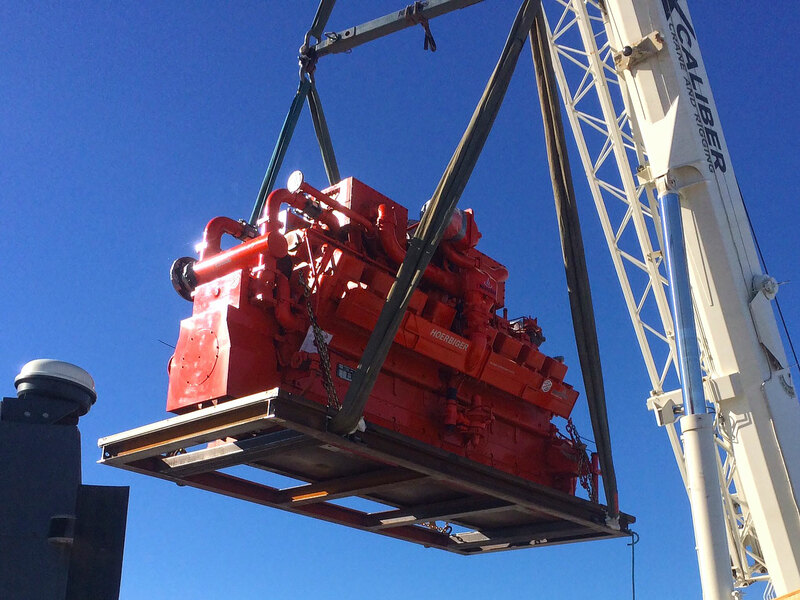 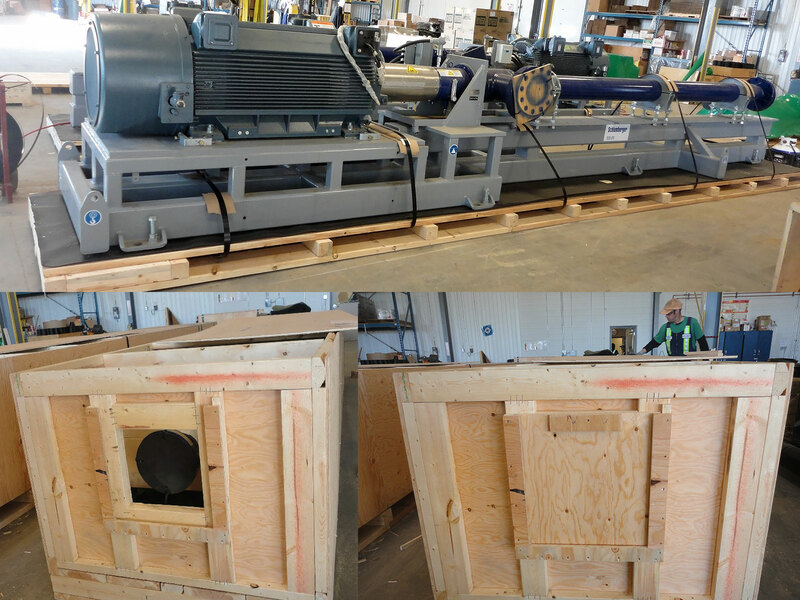 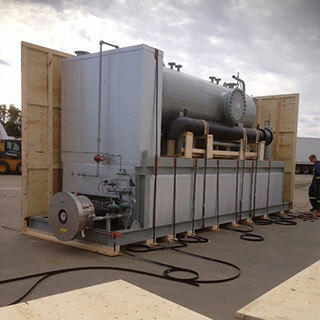 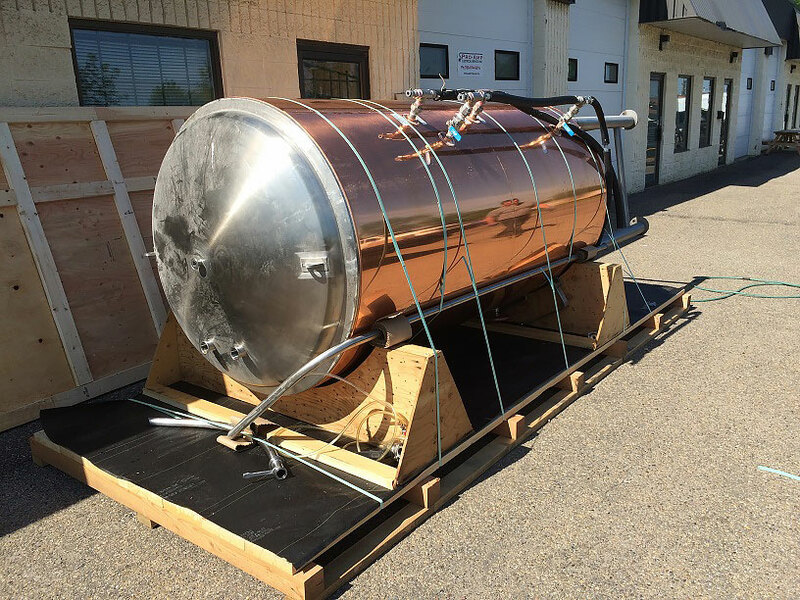 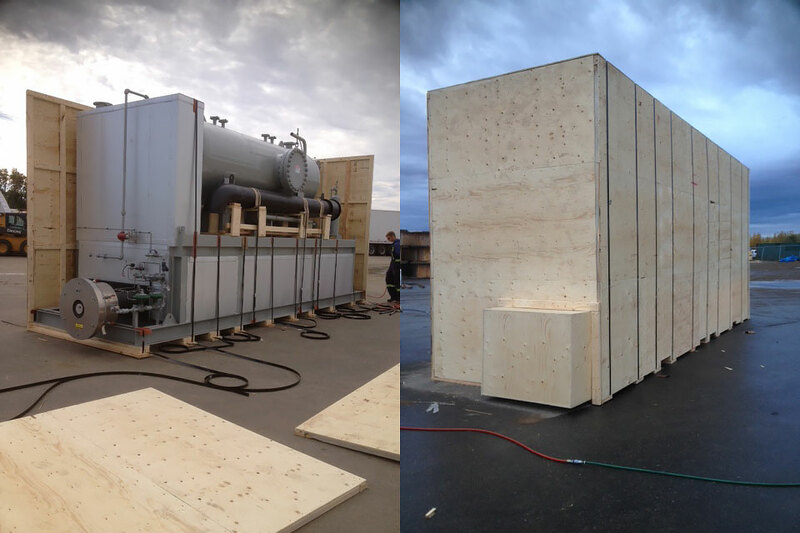 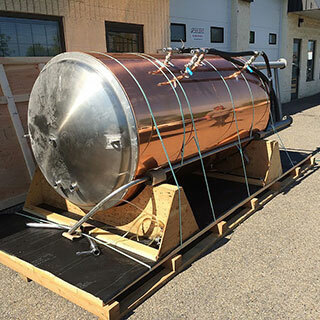 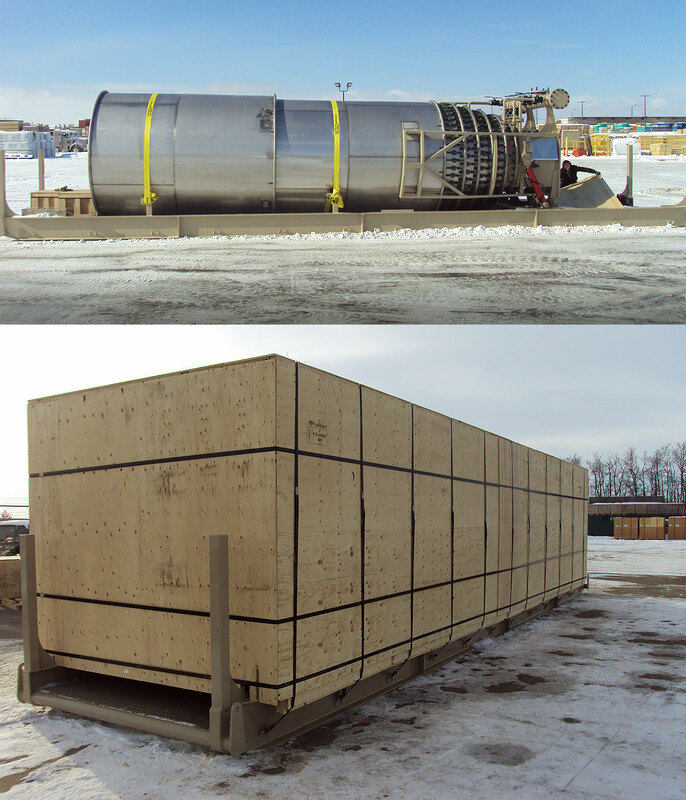 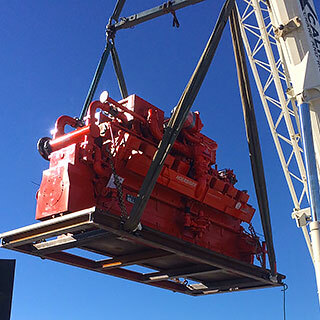 Constructed to handle the load and ensure your product arrives secure and undamaged. 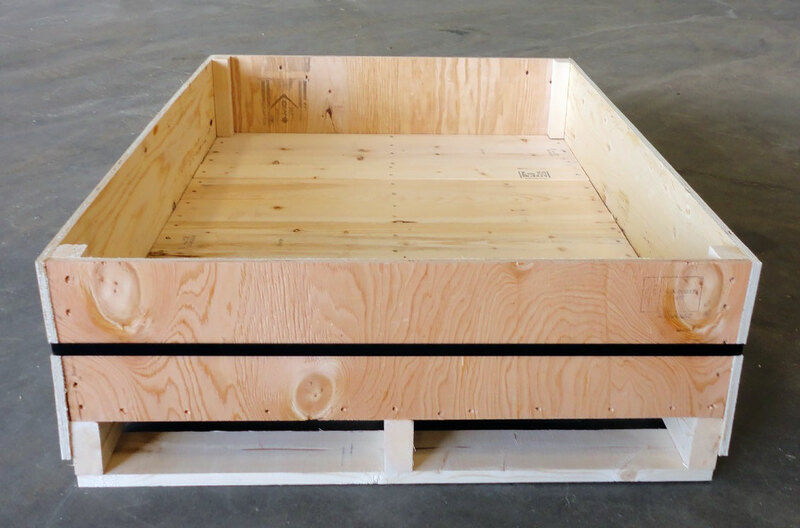 Standard crates are designed to maximize container volume. 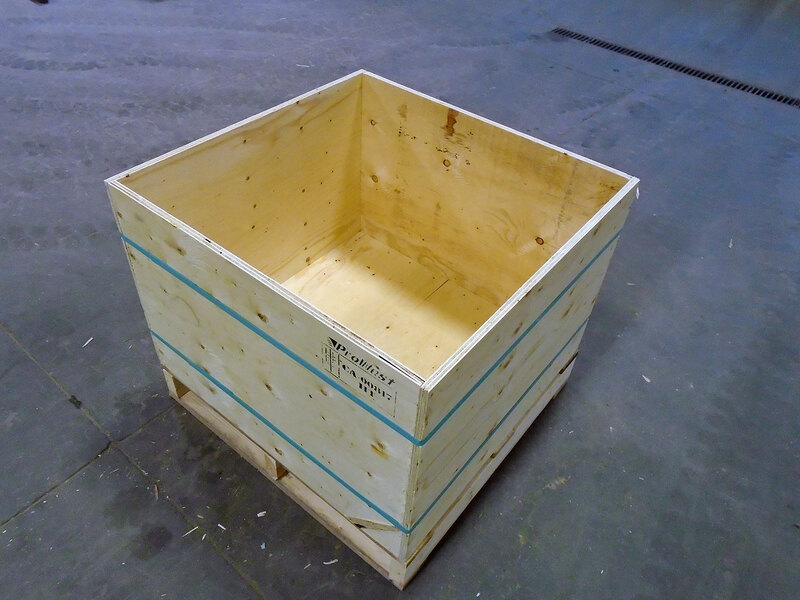 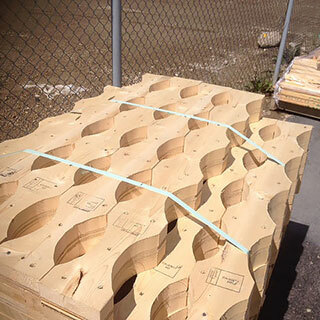 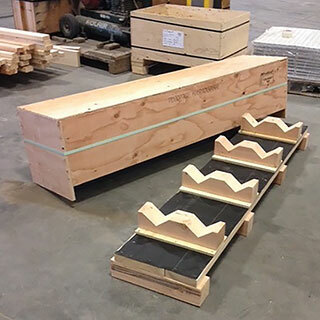 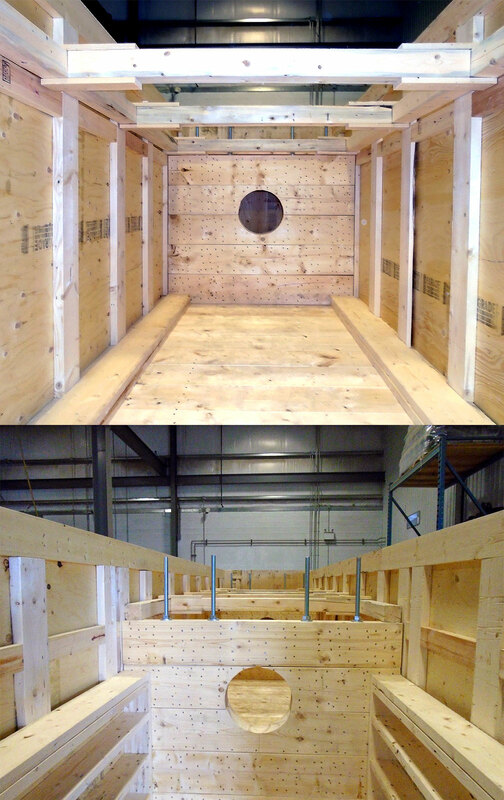 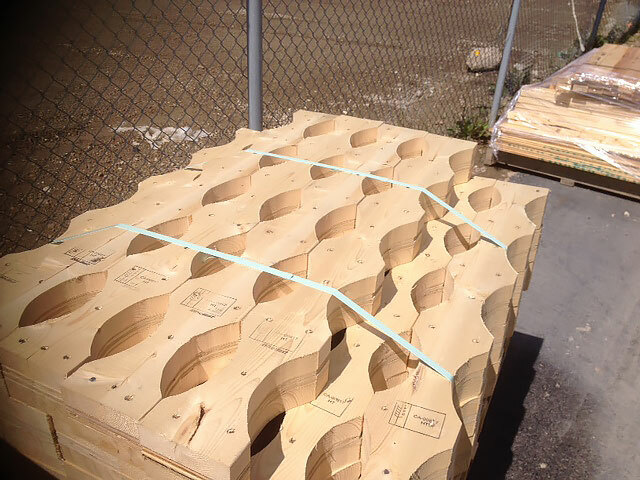 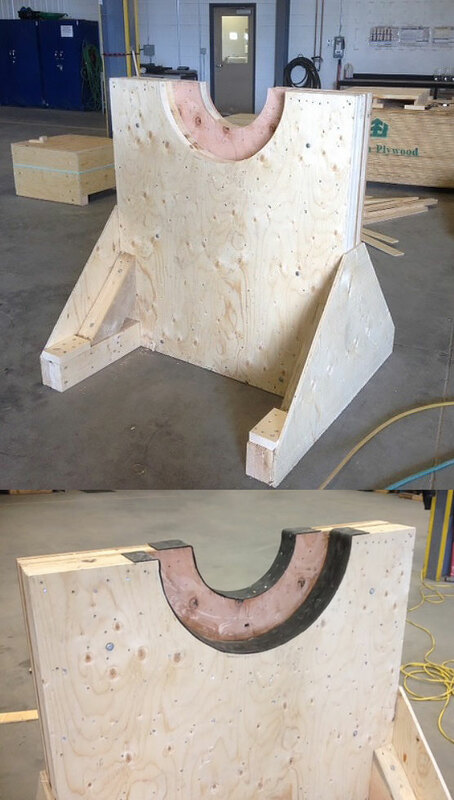 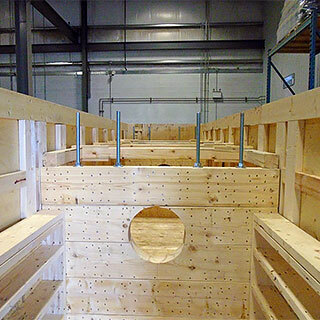 Custom crates are fit to the product or built to customer specifications, designs and/or blueprints. 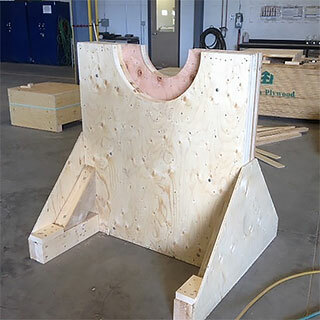 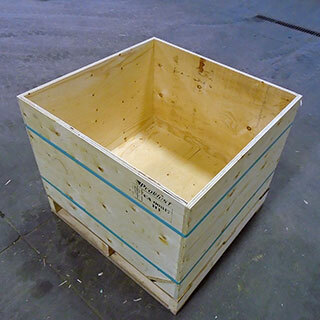 Plywood Boxes and Plywood Crates: are typically used to reduce overall weight for air freight and small shipments. 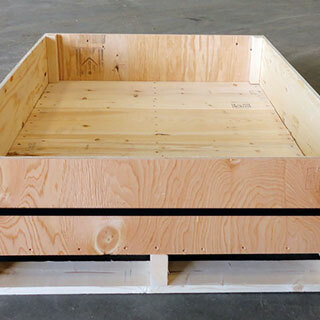 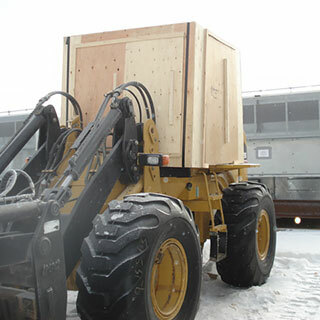 Plywood crates have a heavier deck and would be used for larger, heavier air freight or small, heavy shipments. 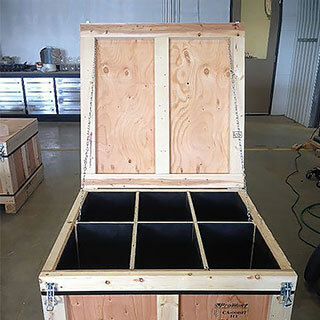 Bins maximize storage and help to keep the workplace organized. 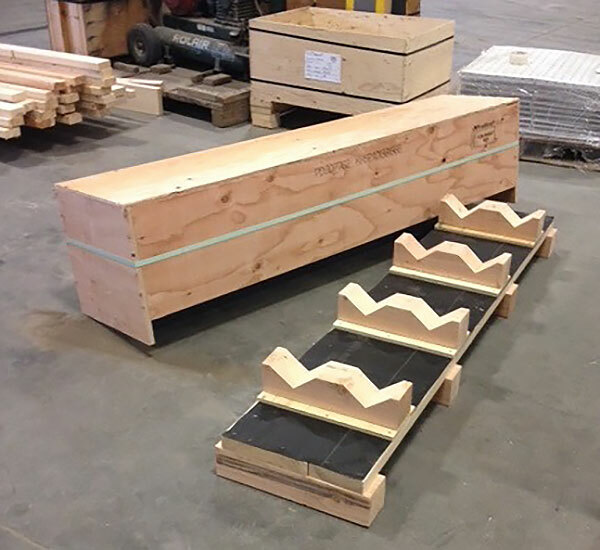 Bins are widely used on pallet racking to improve safety; they prevent accidental falling loads and provide correct securing of loads. 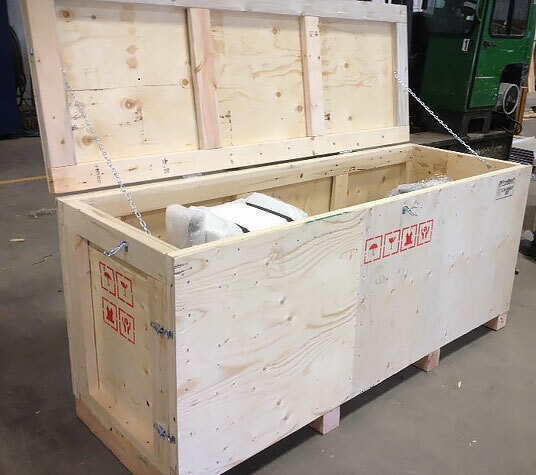 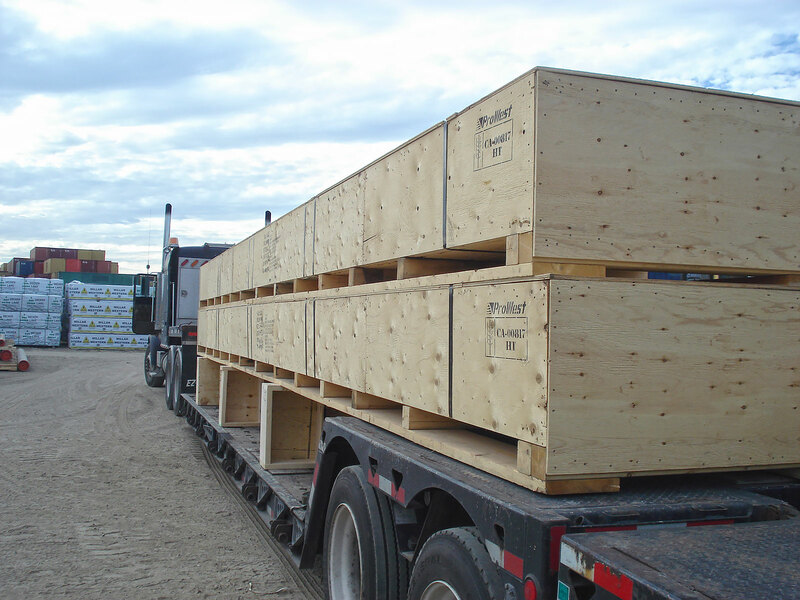 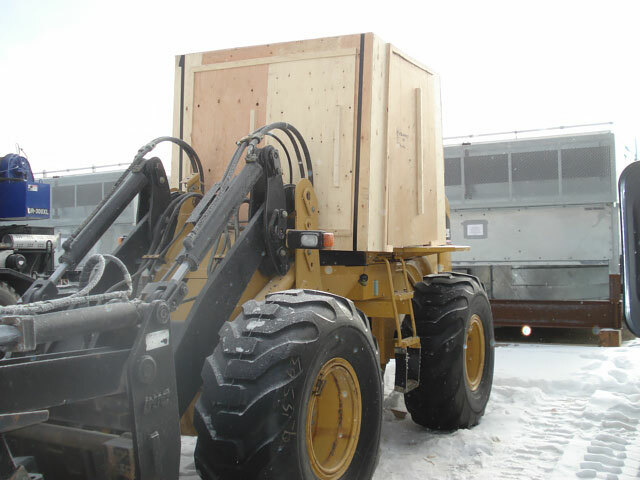 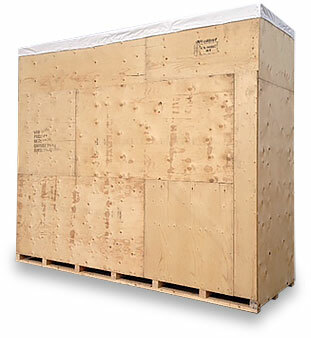 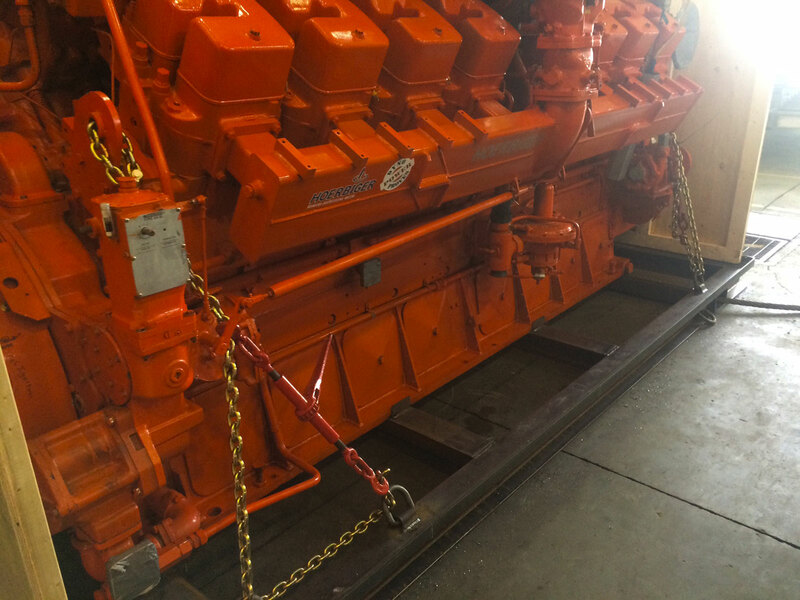 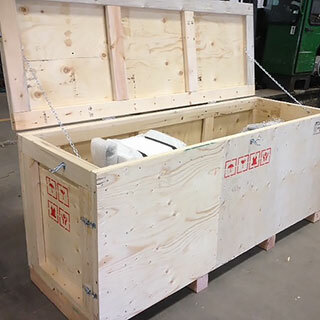 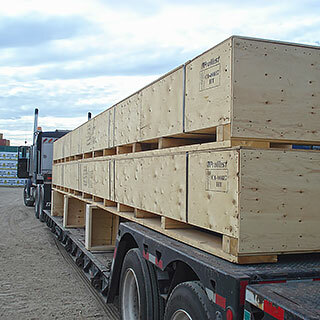 Hood Crates: are most commonly used to cover vehicle and equipment cabs to protect them when shipping. 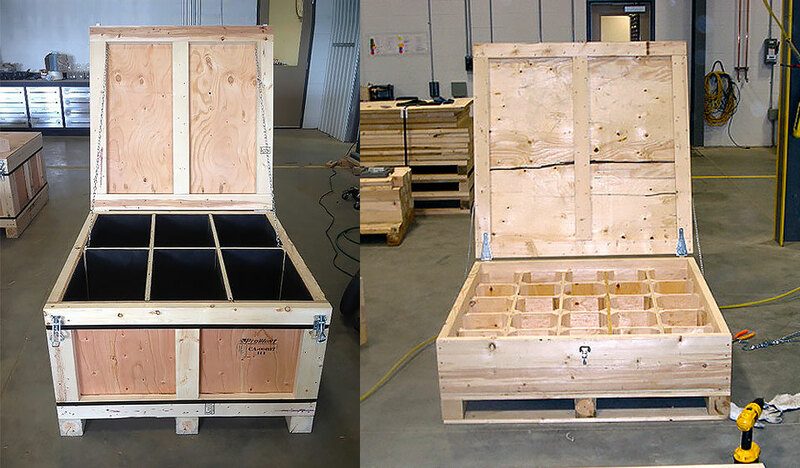 However, the hood crate is far more versatile. 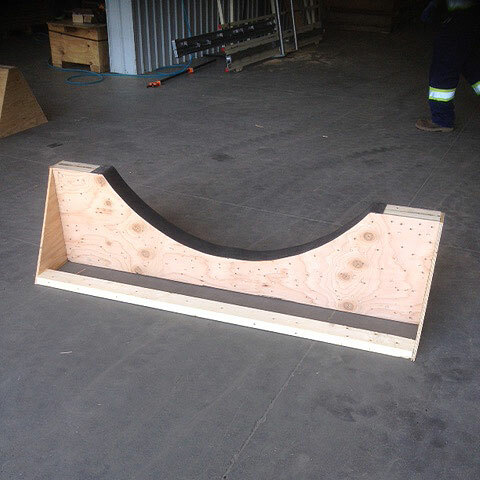 Fitted with handles, the hood and walls can come off the deck in one piece providing easy access for display, inspections or training. 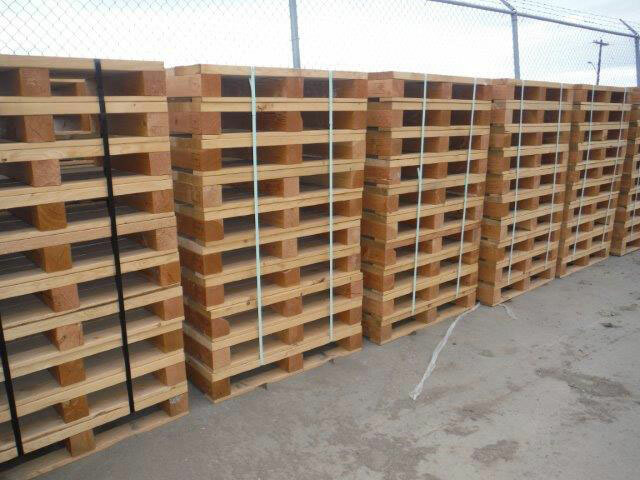 ProWest offers both two-way and four-way pallets, and custom pallets or skids created to your specifications. 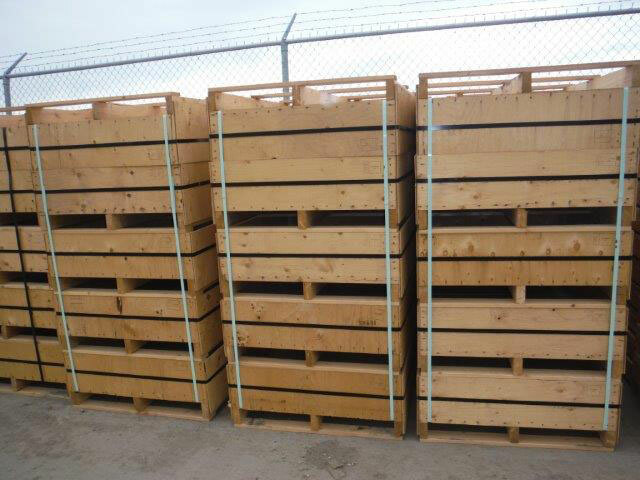 Pallet: A pallet is a load platform that features a top and bottom deck and is most suitable for loads where weight can be dispersed. 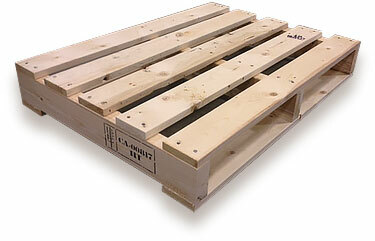 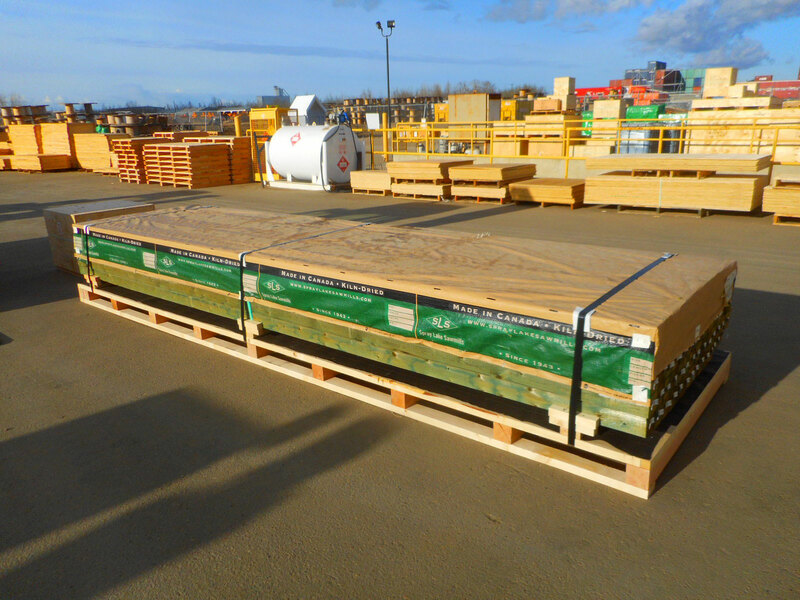 A standard 4 x 4 (48" x 48") pallet can easily carry a load of 680 kg (1500 lb.) 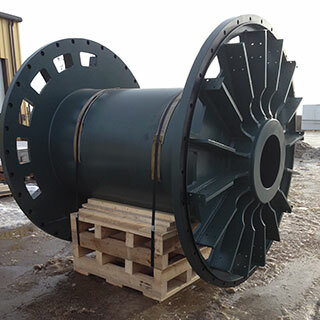 of dispersed weight. 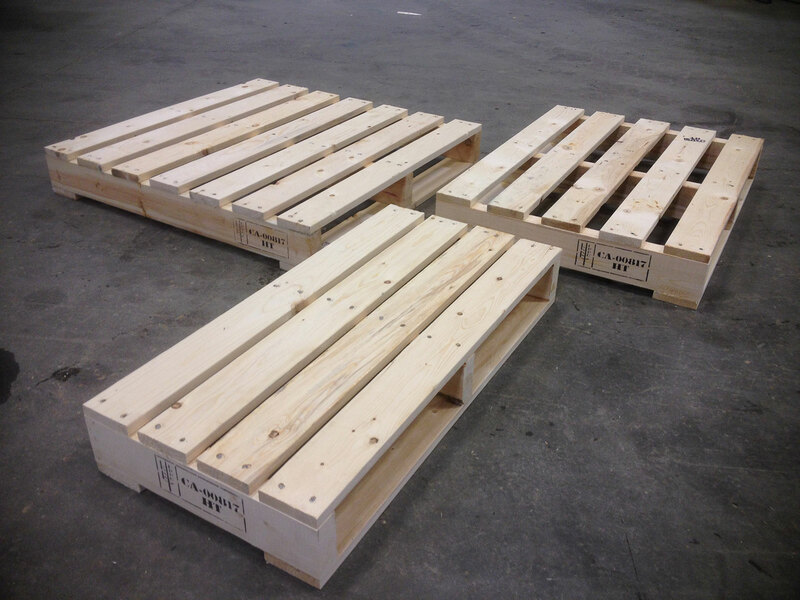 Two-way pallets are designed to be lifted by the deck boards with a forklift or pallet jack through two sides of the pallet. 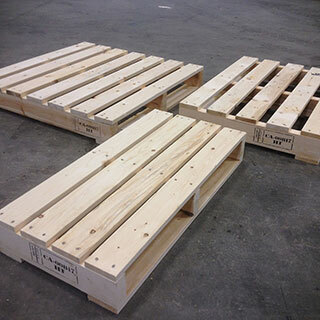 Four-way pallets are extremely durable. 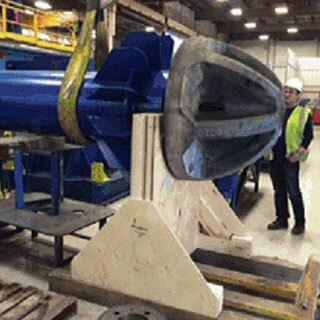 Designed to be lifted by their more rigid stringers, they can be lifted by a forklift or pallet jack from any side. Skids: A skid only has a top deck and is intended for heavy items and items where weight may be concentrated. 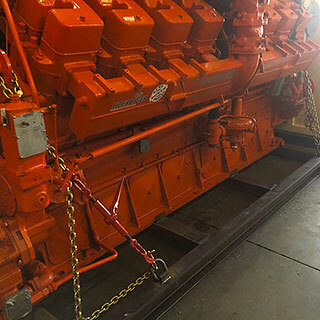 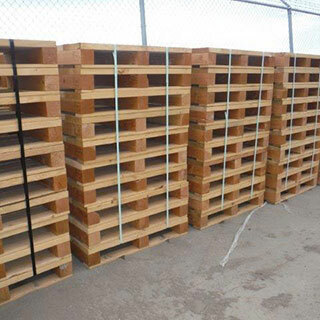 Skids are extremely durable and are often used as a permanent foundation for heavy machinery as they have the advantage of being mobile. 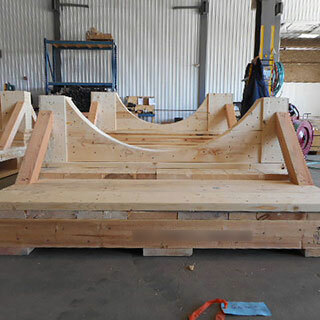 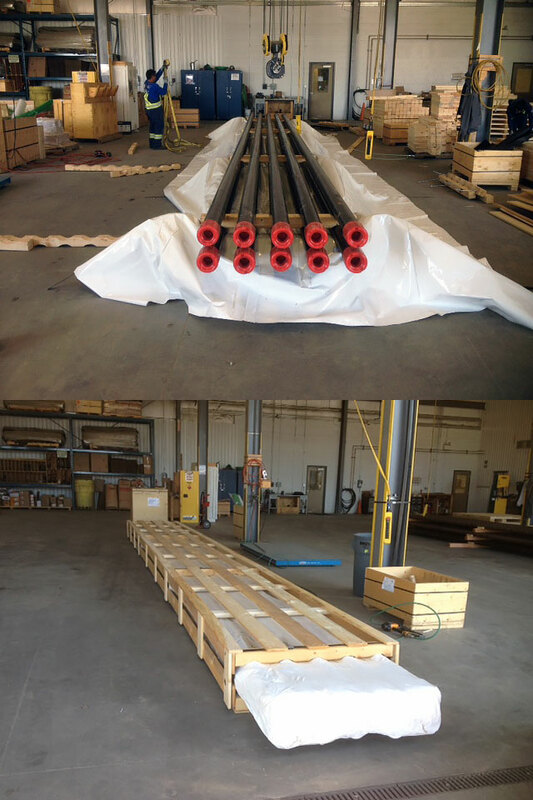 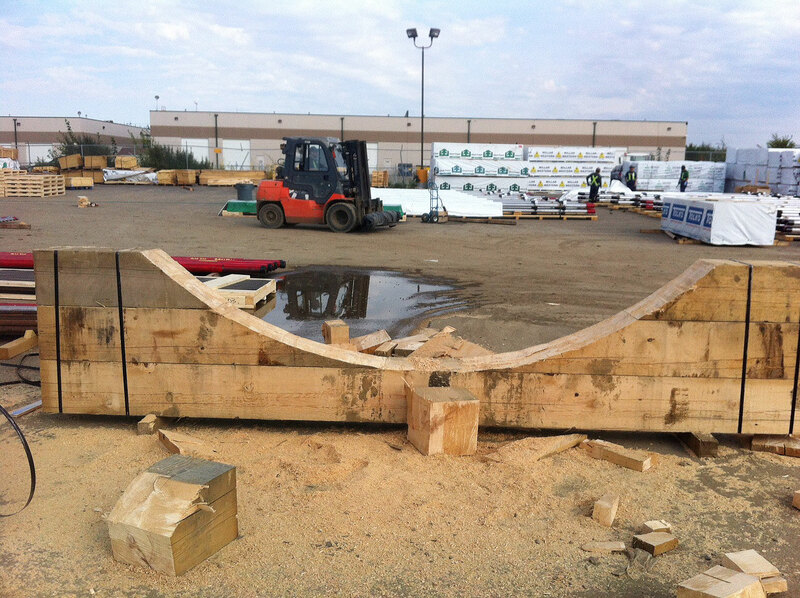 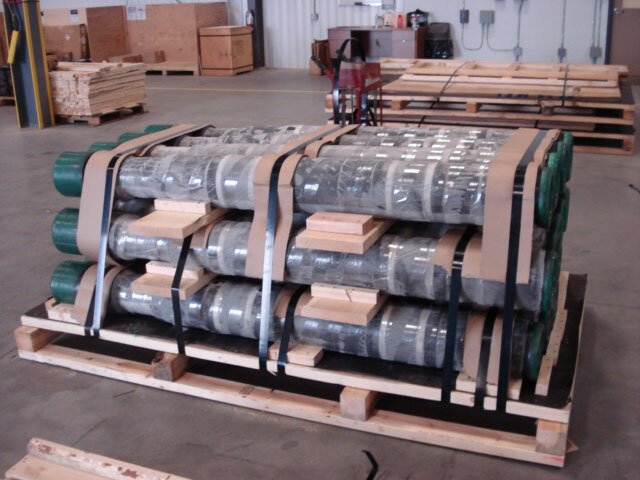 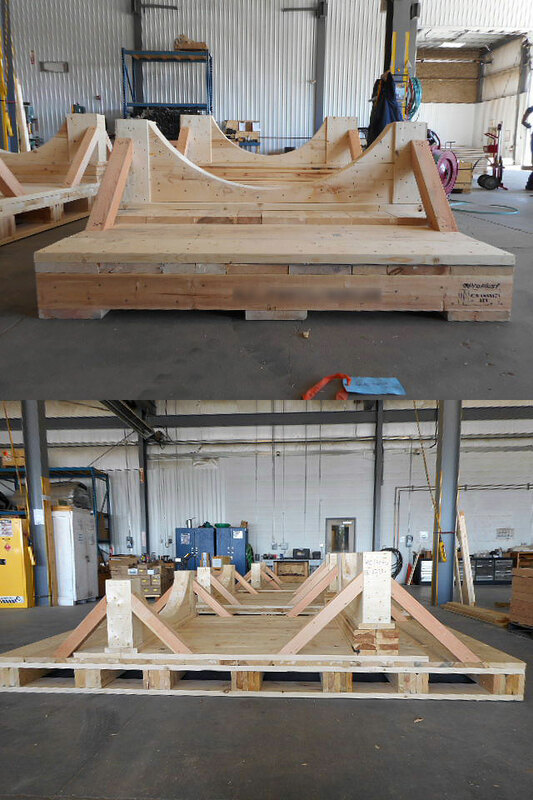 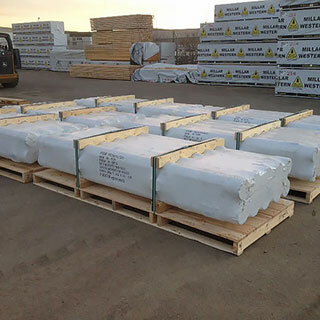 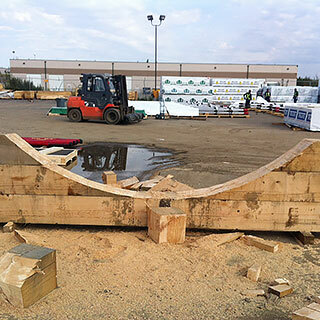 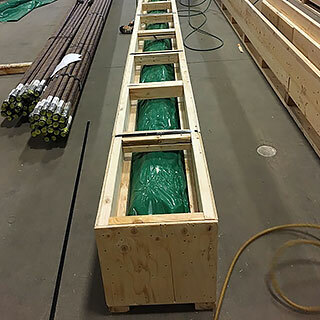 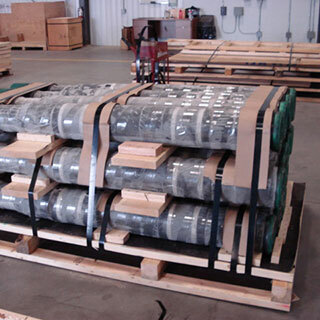 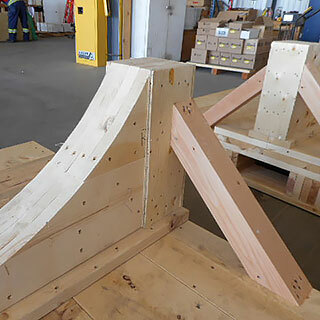 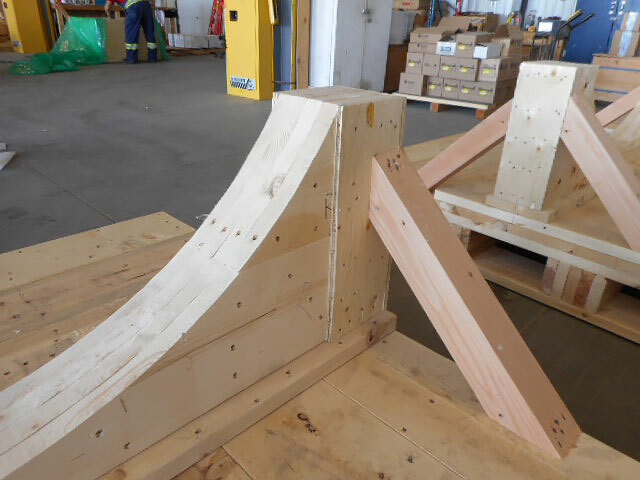 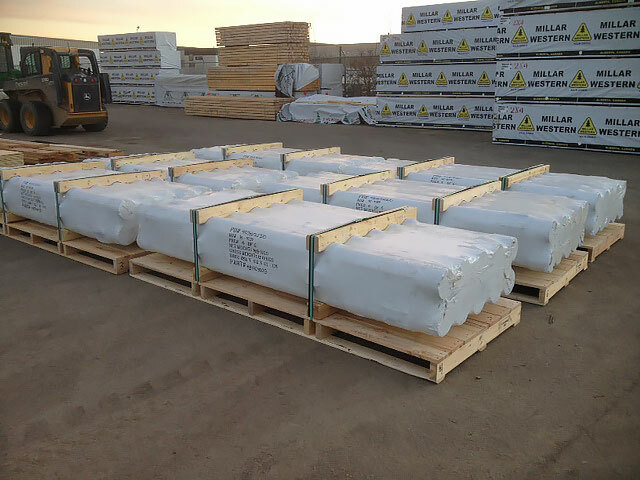 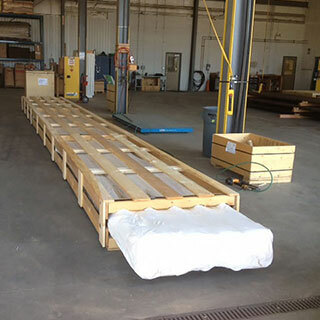 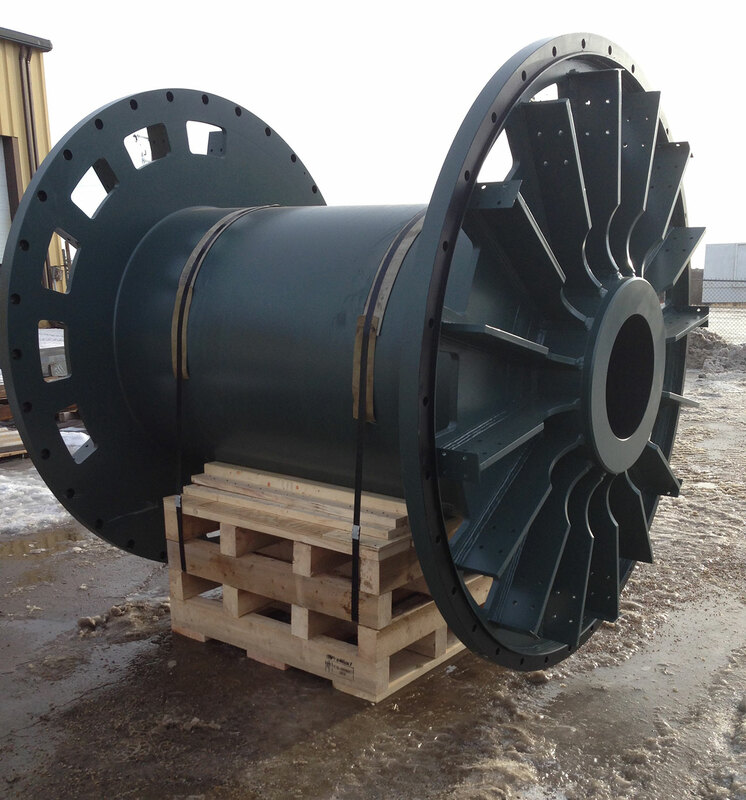 Skids are used for large heavy items that are being poly wrapped for shipment or storage. 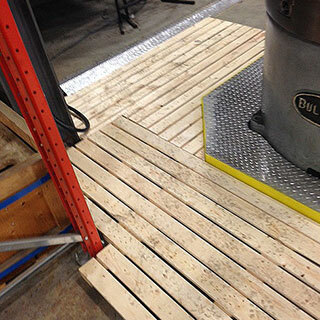 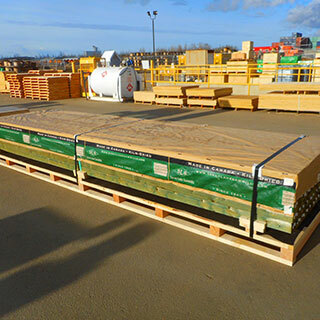 Standard Wood Skid: A ProWest standard skid is wood with 4 x 4 feet and 2 x 10 deck boards. 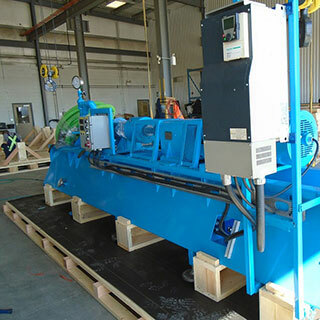 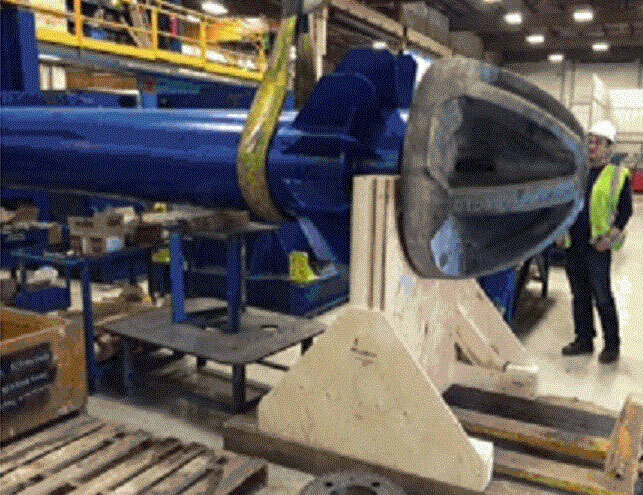 Specialty Steel Skid: ProWest offers steel skids for very heavy items such as machinery. 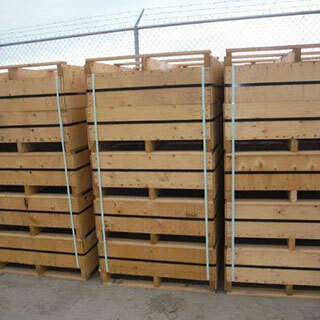 Steel skids are special order, please inquire. 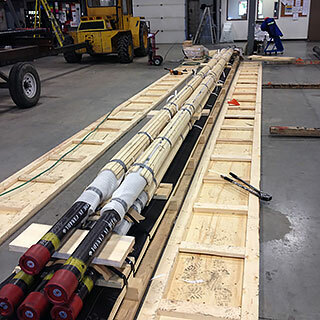 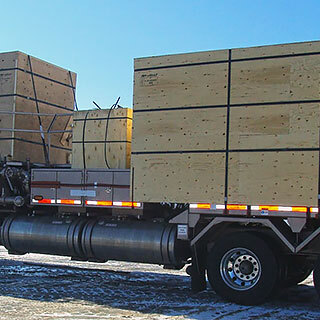 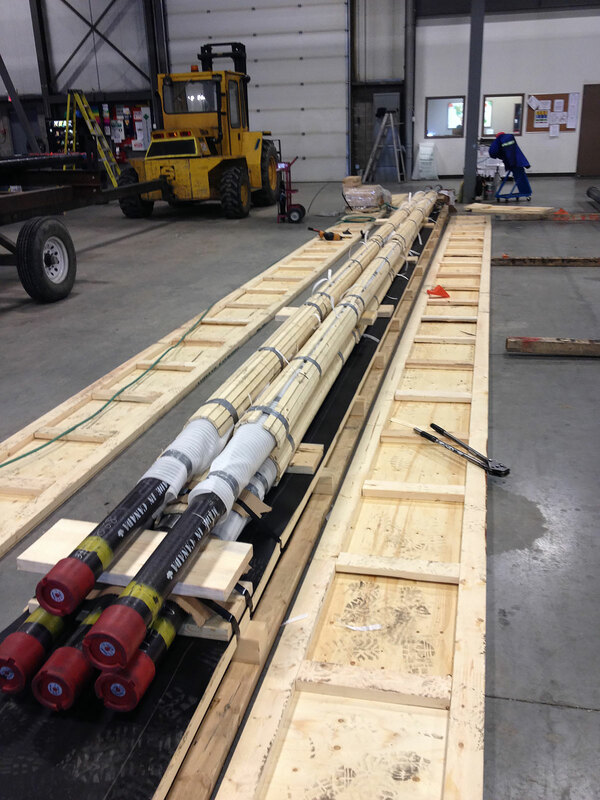 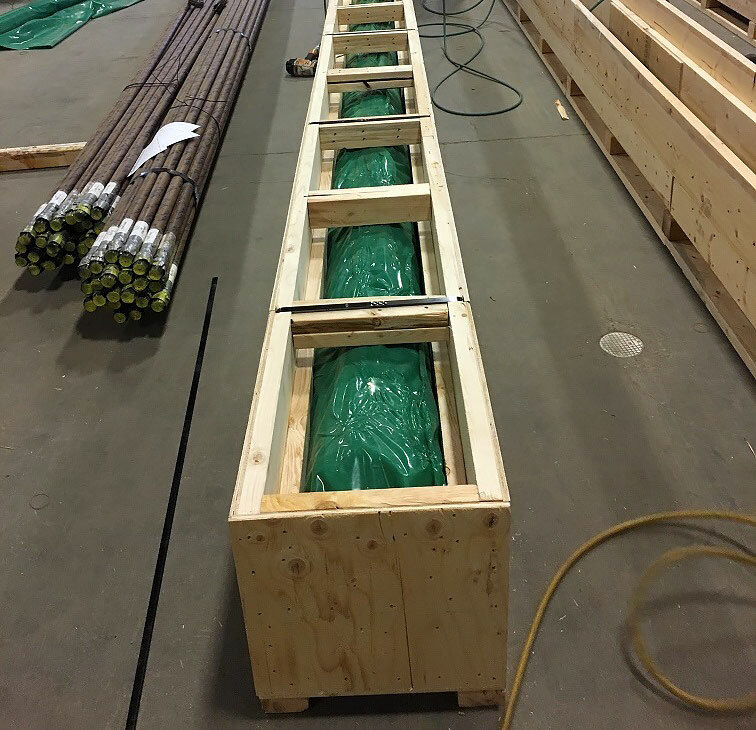 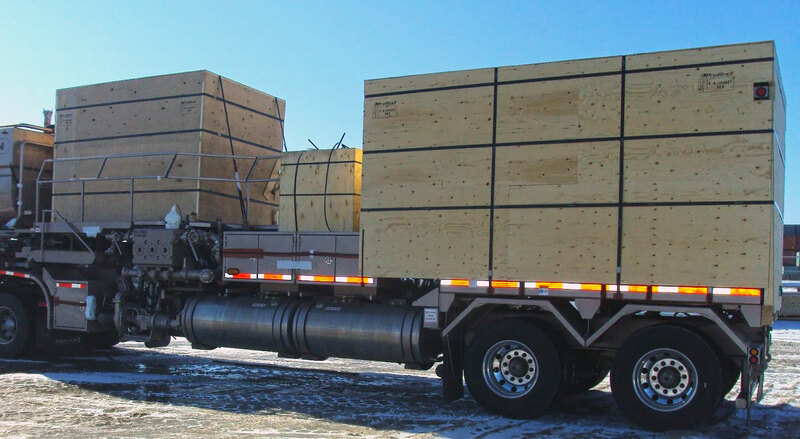 Customized to the product, bunks and saddles are an efficient solution for the transport of pipe and tanks of all sizes. 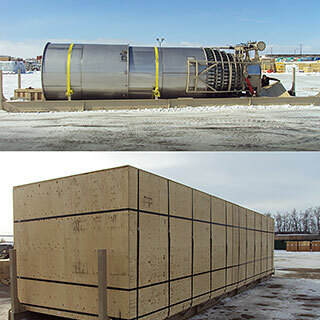 We offer high and low profile vessel (tank) saddles and optional carpeting on bunks and saddles to protect coatings on your pipe or tank.